"Mostly it's hot out, but I want to retain some... 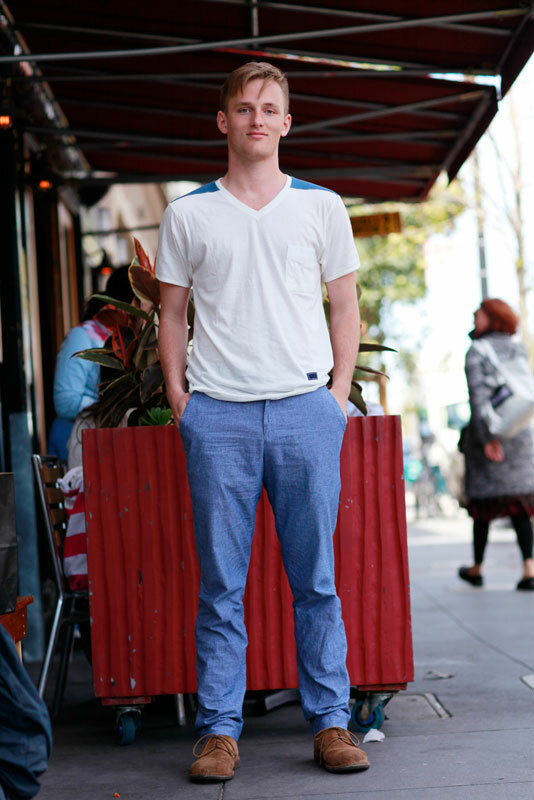 I'm from New York and I refuse to wear shorts, so that's part of, that's how it happened." 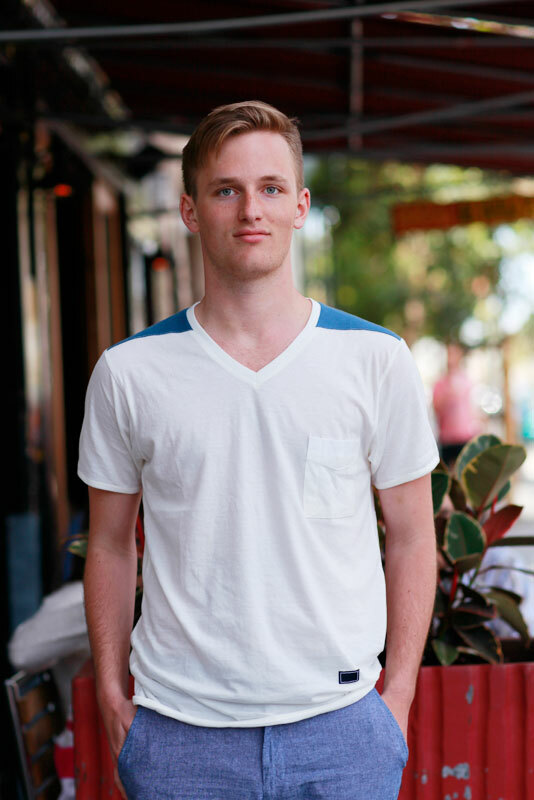 Lovely lightweight blue cotton pants paired with a pocket v-neck with a bit of something extra in that blue fabric panel that just peeks over his shoulders. Good job with matching your eye color, sir. 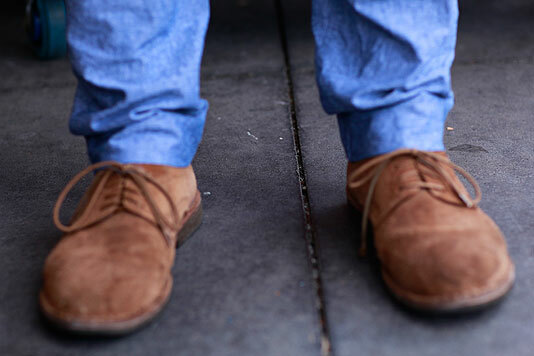 Casual suede oxfords complete the look.